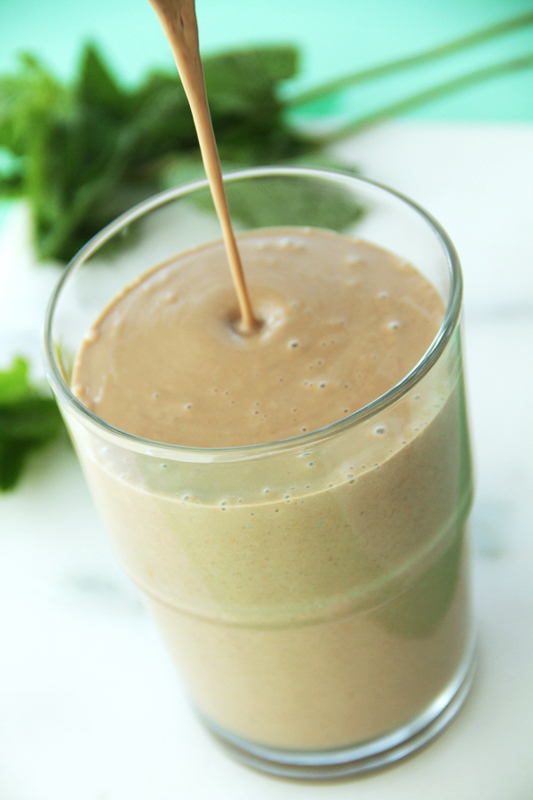 This is a creamy, silky smooth, superfood packed smoothie. Loaded with minerals and antioxidants, cacao gives it a nice mild chocolate flavor and helps satisfy those chocolate cravings. You will get a natural sweetness from the banana and dates while the almond butter helps to thicken up the consistency and give it a healthy boost of vitamin E, as well as protein. 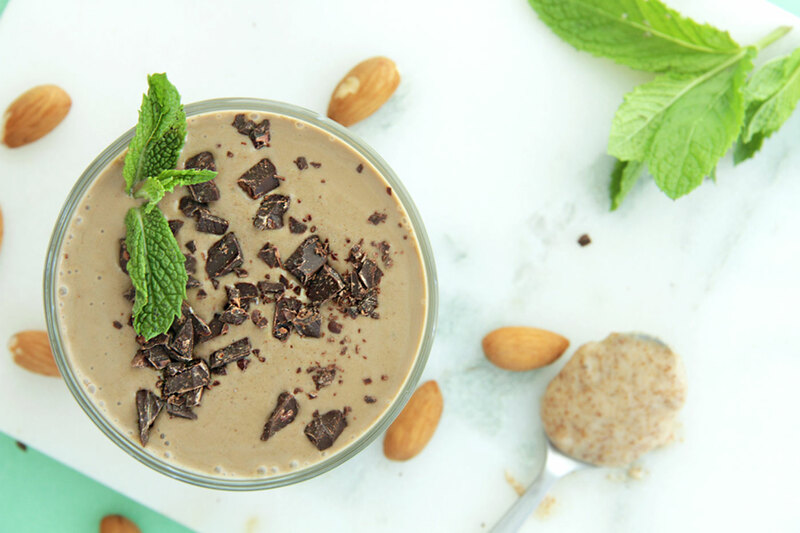 The subtle hint of fresh mint pulls it all together in this healthy anytime of the day smoothie. Natural almond butter (no added oils or sugar) is a great source of calcium and copper. Both minerals play a role in brain cell communication and keep your nervous system functional, while calcium also aids in muscle function and keeps your skeleton strong. Copper enables you to make melanin, which is a pigment that helps protects your skin from the sun. Raw cacao powder has more than 300 phytochemicals and nearly four times the antioxidant power of regular dark chocolate, and contains protein, calcium, carotene, thiamin, riboflavin, magnesium, and sulfur. 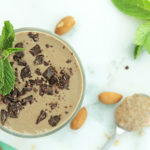 Cacao has the potential to improve heart health, moderate cholesterol as well as stress levels, and reduce inflammation. Mint leaves, especially freshly crushed leaves have many healing powers. They can help you deal with nausea and headache, ease indigestion and inflammation as well as effectively clear up congestion of the nose and throat. Combine all ingredients (except optional topping) in a high-speed blender. Blend on high for 30 seconds, or until nice and creamy and Enjoy!